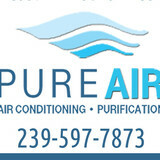 Pure Air offers several indoor air quality solutions to the residents of Naples and Fort Myers, Florida. Your heating and air conditioning systems bring outside air into your home for heating and cooling. Today’s homes are tightly insulated to keep outdoor air from coming in through windows and doorways, but that same insulation keeps indoor air from escaping outside. As a result, airborne contaminants, such as dust and pollen become trapped inside your home. We offer customers fair prices by ensuring Bruno Certified Non-Commissioned technicians from northern Charlotte County to southern Collier County. 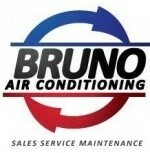 All our leads will be sure to see the President on all quotations and Bruno Certified servicemen on all installations. Like you, at Bruno Air Conditioning of Southwest Florida, we want to be 100% comfortable with whoever enters our home, therefore I personally guarantee you will be 100% satisfied across the board." Louis Bruno President . Certified Heating and Cooling, Inc. strives to meet the complete and absolute satisfaction of EVERY customer we come in contact with. We are based out of Fort Myers, FL, providing service and installation to the surrounding areas (Naples, Cape Coral, Bonita Springs, North Fort Myers, etc...) Certified Heating and Cooling specializes in servicing all types of Air Conditioning, Heating, and Heat Pump systems. As a South West Florida Rheem Team member, Certified Heating and Cooling, Inc. / Ft Myers is proud to install and service quality Rheem products and service you can depend on. We also specialize in service and installation of Pool Heat Pumps, Duct Cleanings, Dryer Vent Cleanings, Zone Controlled systems, Split Ductless HVAC systems, and Indoor Air Quality. Certified Heating and Cooling strives to provide for our customers the highest level of quality service at fair and market competitive prices. Certified Heating and Cooling wants to ensure the longevity of our company through repeat and referral business achieved by customer satisfaction in all areas, including timeliness, attention to detail, and service-minded attitudes. We at Certified Heating and Cooling maintain the highest levels of professionalism, integrity, honesty, and fairness in our relationships with our distributors, professional associates and Customer. 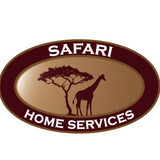 Safari Home Services has been in the business for over 13 years and we've been lucky enough to learn a thing or two over those years. We've even worked hard to make sure that our staff knows the most up-to-date information about all of your heating and cooling needs. Keeping you cool and warm is our goal! Heating and Cooling Units Our staff have worked with everything that's out there. So, rest assured that we have the knowledge to service even the toughest units. Evap Coolers We've also got a skilled set of workers who are knowledgeable about any type of evap cooler you have. Indoor Air Quality Products With you and your loved ones in mind, we've started offering different products to help with your home's air quality. Tri County Air Conditioning & Heating, Inc. serves Sarasota County, Manatee and Charlotte Counties including: Sarasota, Bradenton, Lakewood Ranch, Parrish, Ellenton, Venice Fl., Nokomis, Port Charlotte, Englewood, North Port, Punta Gorda and Southeast Florida since 1977. Our Comfort Providers offer a full array of Indoor Air Quality, New and Replacement A/C, along with Maintenance and Service Agreements that are custom tailored to work for you. Although our experience and expertise take us from Manatee, Sarasota and Charlotte Counties, our clients choose and stay with us year after year because of our integrity and commitment to community – the personal touch you expect from your Indoor Comfort Professionals. Green Cooling Solutions is a female-owned company in Sarasota, Florida serving Sarasota, Manatee. We provide residential and commercial Air Conditioning and Heating Services, Energy Audits, Aeroseal Duct-Sealing and Repair, as well as Insulation services. Green Cooling Solutions is here providing emergency service, 7 days a week. We are competitively priced, honest and technically savvy. When dispatched to your home, our technicians arrive highly trained, NATE certified and well equipped. Our expertise means we can diagnose and solve problems quickly. Well-stocked service trucks ensure we have the part you need. Together, these mean your comfort is restored immediately. Executive Cooling & Heating was established in 1998. We have become a leader in Charlotte county Florida. As a leader in the HVAC industry. By being voted as the Best of Charlotte county. Every year from 2008-2014. 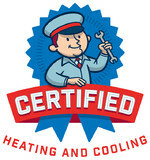 Our HVAC technicians and staff are dedicated to providing total customer satisfaction. Your comfort is our first priority. By offering 24-hour emergency HVAC services and ensuring each job is completed with quality equipment, professional service, and genuine replacement parts. We've been able keep our customers loyal and our brand wholesome since 1995. Suncoast Cooling & Heating LLC, offers complete air conditioning unit installation, air conditioning and air quality services, we have some of the best prices in town and offer senior citizen discounts. Our technicians are licensed and experienced with both simple & complex HVAC matters and handle commercial and residential properties, equipment sales, service, maintenance, and installation. Visit our website at <a rel="nofollow" target="_blank" href="http://www.suncoastcoolingandheating.com/">http://www.suncoastcoolingandheating.com/</a> or reach us at 239-210-1623 today! HRI Naples AC & Gas Experts is a hvac contractor / air conditioner service serving the Naples, FL area. Services include Gas Services, HVAC, Commercial HVAC, Generator Installation, Generator Repair, Indoor Air Quality, AC Repair, Air Conditioning, Ductwork, Emergency HVAC, Furnace Service & Maintenance, Gas Boiler Service, Gas Furnace Maintenance, Gas Piping, Heating Repair, Hot Water and Water Heater. Semper Fidelis AC LLC is a hvac contractor / air conditioner service serving the Naples, FL area. Services include HVAC, Air Conditioning, AC Service, AC Repair, Duct Work, Indoor Air Quality, Residential HVAC, Emergency HVAC Service, Commercial HVAC, Central Air, Gas Furnace, Furnace Service / Maintenance, Heating Systems, Air Heat Pump, Geothermal Heat Pump, Ventilation Service, Air Filter Systems and Thermostat Repair. 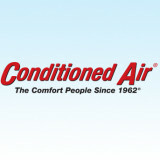 Adam's Air of SWFL Inc is a hvac contractor / air conditioner service serving the Naples, FL area. Services include HVAC, AC Repair, Air Conditioning, AC Service, Central Air, Heating Systems, Ventilation Service, Residential HVAC, Commercial HVAC, Thermostat Repair, Emergency HVAC Service, Air Filter Systems, Indoor Air Quality, Duct Cleaning, Duct Work and Hot Water Heating. Getting the finest quality air conditioning services in the Naples area is as easy as calling on the pros here at AMA Air Conditioning Services. Our job as your local air conditioning company is to provide you and your loved ones with the essential cooling services you need. Our goal is to do so in a manner that warrants nothing less than 100% satisfaction. Anderson Air & Energy Solutions, Inc. Here at Anderson Air & Energy Solutions, we take pride in providing you with quality and cost effective A/C and energy saving services. As well as all of your remodeling needs! GUARANTEED! What do HVAC contractors do? “HVAC” stands for “heating, ventilation and air conditioning.” An HVAC technician or contractor specializes in heating systems, air duct cleaning and repairs, insulation and air conditioning for your Tice, FL home and other homes. Generally, Tice HVAC contractors or HVAC technicians work with or run companies that repair or install heating systems and air conditioning units for homes. But they have specialized services too. For example, if you are a wine collector and you are thinking of installing a wine cellar in your Tice, FL home, you might hire a Florida HVAC professional who specializes in refrigeration work. HVAC professionals can use their skills to help you to save money on your Tice, FL home’s energy bills by installing radiant barriers in your attic or split-zone heating and cooling systems to heat rooms like solariums while cooling upstairs bedrooms during warmer temperatures. Find HVAC contractors on Houzz. Look in the Professionals section of our website and search for Florida HVAC contractors. Read reviews and see how an HVAC contractor might approach your Tice, FL home’s heating and cooling challenges.